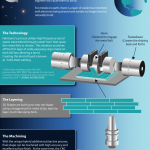 Click the infographic to help understand how Fabrisonic’s process works! 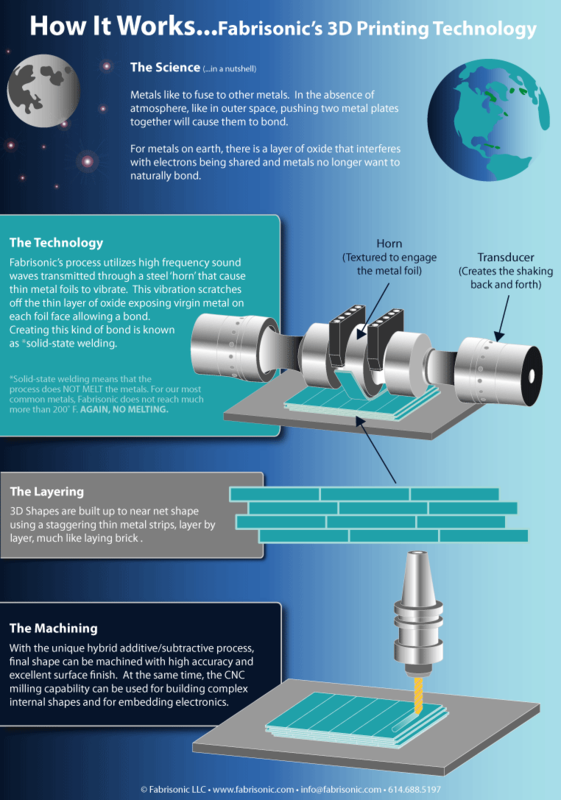 The UAM process involves building up solid metal objects through ultrasonically welding a succession of metal tapes into a three-dimensional shape, with periodic machining operations to create the detailed shape of the resultant objects. 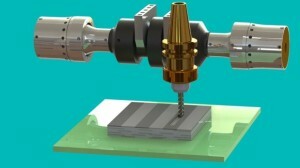 The figure at right shows a rolling ultrasonic welding system, consisting of two ultrasonic transducers and the (welding) horn. 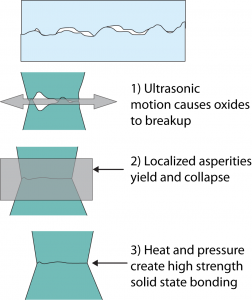 High-frequency (typically 20,000 hertz) ultrasonic vibrations are locally applied to metal foil materials, held together under pressure, to create a weld. 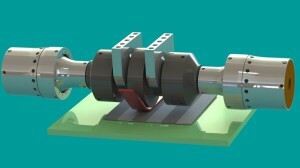 The vibrations of the transducer are transmitted to the disk-shaped welding horn, which in turn creates an ultrasonic solid-state weld between the thin metal tape and a base plate. The continuous rolling of the horn over the plate welds the entire tape to the plate. 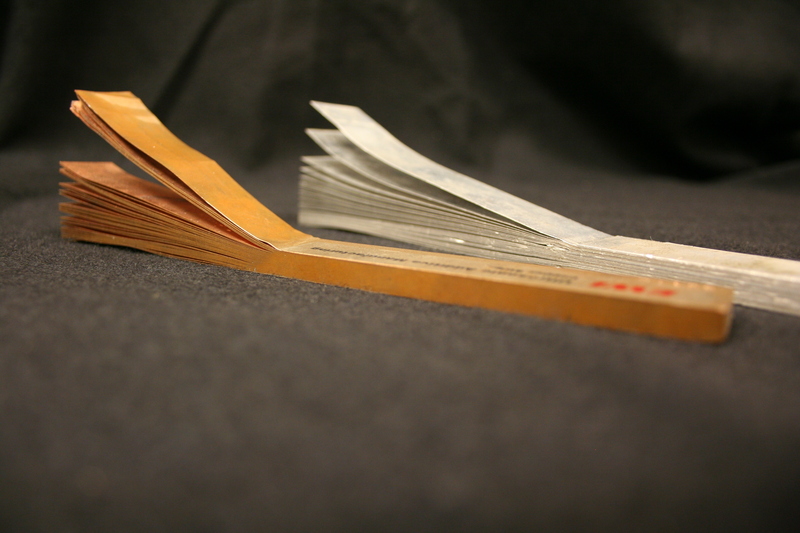 Successive layers are welded together to build up height. This process is then repeated until a solid component has been created. CNC contour milling is then used to achieve required tolerances and surface finish. Fabrisonic gets its solid-state bond through ultrasonic welding, which has been around since the 1960s. The process uses ultrasonic vibrations to create a friction-like relative motion between two surfaces that are held together under pressure. This action, in turn, causes shearing and plastic deformation between asperities of the opposing surfaces, which disperses surface oxides and contaminants. 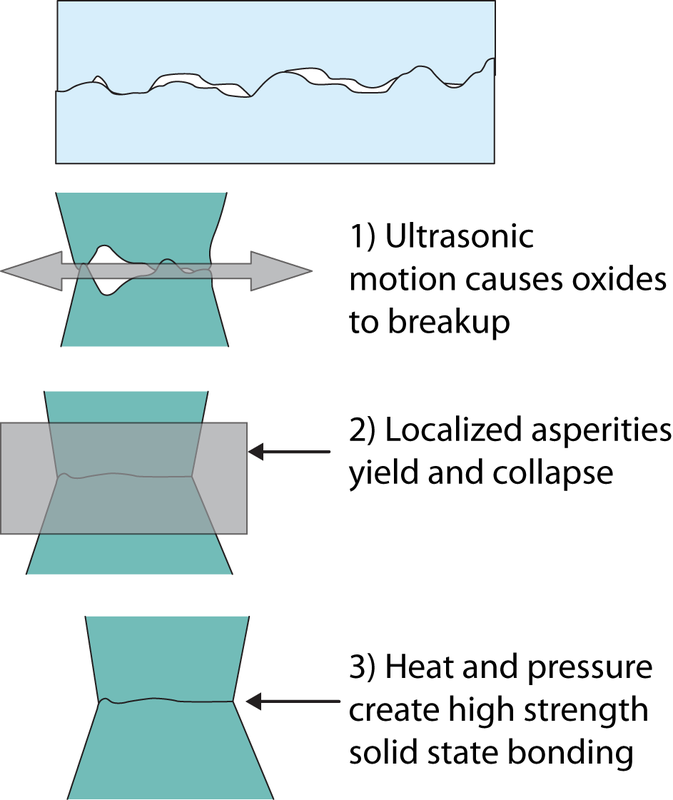 As the asperities collapse, metal-to-metal contact is increased creating solid-state bonding between the parts through heat and pressure.